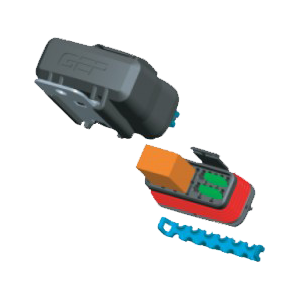 Fuse and Relay Holders by GEP Power Products provide an innovative design solution through GEP's wide range of special-made compact, sealed, bolt down, and inline fuse holders. 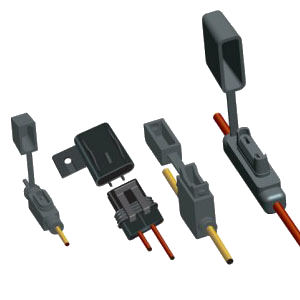 As the Master Distributor of GEP Power Products, Power & Signal Group will help you find the Fuse and Relay holder you need, and offer you a world-class supply chain solution at affordable pricing. Ideal solution for auxiliary and accessory “add- on” applications in harsh environments. Available in both 12 and 24 positions. Ideal solution for auxiliary and accessory “add-on” applications in harsh environments. 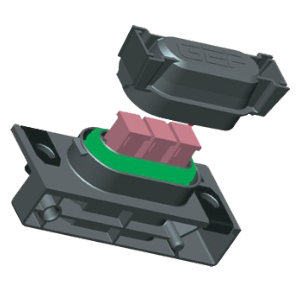 The Series PTSR-X Push-to-Seat sealed relay holder is specifically designed to accept standard Mini ISO relays, Delphi 630 Metri-Pack terminals and 480 Metri-Pack seals. This uniquely designed sealed unit also features a Push-to-Seat connection system, that eliminates the costly and labor intensive “5 step” pull-to-seat assembly approach. Uses DELPHI 480 Metri-Pack Cable Seals with DELPHI 630 Metri-Pack terminals. PSG Engineering has confirmed that the ‘neck’ diameter of Metri-Pack 480 and 630 cable seals are identical. It is suggested to use the Crimp Information Sheets and crimp tooling intended for Metri-Pack 630 terminals and 630 cable seals. Documented crimp validation information is not available for specifically the '630 terminal with 480 cable seal' applications. For higher amperage circuit protection applications in harsh environments with limited space. 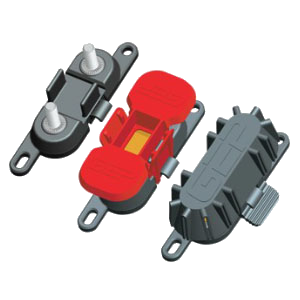 This sealed, compact and “connectorized” fuse holder offers a cost effective and installation friendly circuit protection alternative. Ideal for Primary fusing applications in vehicle electrical systems. For use with Mega® fuses from 100 – 300A. Torque rating: 120 in – lbs max. 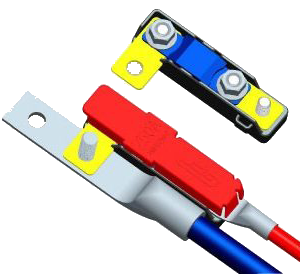 Accepts the Littelfuse™ KLKD® series “bolt down” fuse for use in Electric Vehicle applications. Torque rating-studs: 120 in-lbs max. Fused battery taps for main branch circuit protection. Excellent alternative to bulky Mega fuse holders. Fused battery tap for main branch circuit protection. Excellent alternative to bulky Mega fuse holders. Rating: Accepts the Littlefuse Mega fuse rated at 40A-500A. 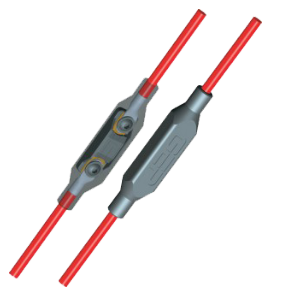 Inline fuse holders for ATM “Mini®” blade-type fuse, ATO® fuse and Maxi™ style fuses. 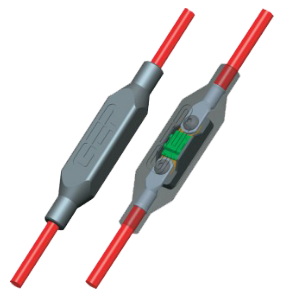 In-line fuse holders for ATM “Mini®” blade-type fuse, ATO® fuse and Maxi™ style fuses. 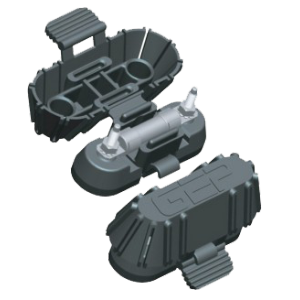 Sealed In-line fuse holder for the LittelFuse™JCASE® Cartridge fuses. Sealed In-line fuse holder for the LittelFuse™ JCASE® Cartridge fuses. 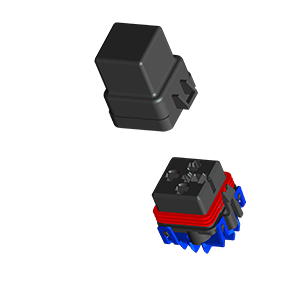 In-line fuse holder for the Littelfuse™ BFI bolt-down style fuses. 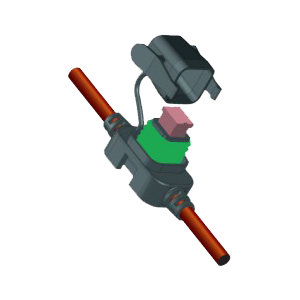 In-line fuse holder for the Littelfuse™ ‘MEGA’® bolt-down style fuses.